Kellogg Professor Philip Kotler didn't set out to write the Harry Potter of business school textbooks, but 40 years after its publication Marketing Management is still flying off the shelves. A certified classic, the book has ranked among the top 200 titles on Amazon.com and been named among the 50 best business books of all time by Financial Times. Now in its 12th edition, Marketing Management is the most widely used text in graduate business schools, having been translated into more than 25 languages. Kotler has produced dozens of other books, adapting and developing his core concepts into additional bestsellers. 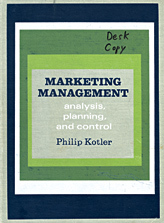 With three million books in print, Kotler is the most prolific author in the marketing textbook field. "The network of knowledge and influence his textbooks have generated is unparalleled," writes Peggy Cunningham, a Queen's University marketing professor who has analyzed the impact of Kotler's work and is co-author for a Canadian edition of Marketing Management. "Millions of MBA and undergraduate students have been educated using his materials." So why did Marketing Management make such a splash? Kotler's big idea in 1967 was that companies ought to be driven by customers and markets, rather than by the intuition of marketing executives. He went on to bring analytical thinking into the marketing field to add to the rich description of markets that already existed in the marketing literature. "It seemed to me that marketing needed more logical processes for making decisions," recalls Kotler, who joined the Kellogg School faculty in 1962 and is now the S.C. Johnson & Son Distinguished Professor of International Marketing. He based his textbook on ideas synthesized from economics, behavioral science, organizational science and mathematics. 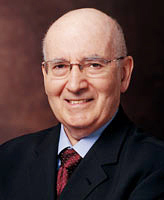 Kotler had been trained as an economist at the University of Chicago and MIT. As a result, he introduced mathematical models to help companies allocate marketing resources, including setting the size and goals of the sales force. "I said, 'These are big decisions that companies face,'" Kotler recalls. "They don't get much help from standard economic theory. These companies need a process for making decisions about how many salespeople to hire, how much to spend on advertising, how much to spend on sale promotion." Sales took off immediately. Kotler, whose original goal was to write a textbook to use in his own classes, says he was "delighted and surprised." As Kotler notes in the preface to his latest edition, marketing has changed dramatically in the last 40 years. Basic concepts such as segmentation, targeting and positioning were barely discussed back then. Brand equity, hybrid channels, database marketing and e-commerce might as well have been terms from another planet. With each edition, Kotler has developed these and other concepts, including relationship marketing and social, place and person marketing. The austere black-and-white text of 1967 has evolved into a vibrant volume that reflects today's best marketing practices. Kotler has added a co-author (Tuck Professor Kevin Lane Keller) and the two plan to publish the book's 13th edition in early 2008. As usual, at least 20 to 30 percent of the text will be new. At 76, Kotler still teaches, consults for corporations and speaks to crowds around the world. He credits this continuous feedback with enabling him to stay ahead of the curve on marketing trends. Never complacent, Kotler views his work as ruthlessly as any would-be competitor. "The best line of attack is to attack yourself first," Kotler says of revising his classic work. "Be aware of the new ideas, trends and stories and make them prominent in the next edition."